Also in Europe meetups and hackathons take place where you can learn more about open data, find out how your local and national government could do more to release open data, engage with non-profits and companies in the uses of open data and meet and network with great people and have lots of fun. In the UK events are planned in Playmouth, London and Leeds, in Spain you can learn more about open data in Bilbao, Barcelona, Granada and Madrid. There are events in Germany, for instance in Cologne, Hannover, and Frankfurt am Main, in the Netherlands you can go to meetups in Amsterdam, Utrecht and Eindhoven, and in Italy there are activities in Torino, Napoli and Salerno. 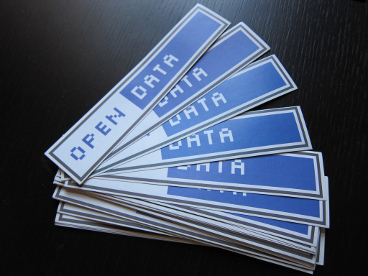 Also in Nantes (France), Luxembourg, Rigga (Latvia), Zagreb (Croatia) and Tirana (Albania) you can have fun with open data. There is a list of all events around the world and you can add your event on a map created by Open Knowledge Foundation. If you’re looking for an easy way to find European data you might check out the European data portal. You can also join the TransparencyCamp Europe online App Competition. So, if you’re building an application that improves transparency and opens the black box of EU decision-making, or uses European open data (e.g. on mobility, public health, education or the environment) to improve the everyday lives of Europeans, we encourage you to submit your app here.